How many buckets of painstakingly separated construction sets are in your house? 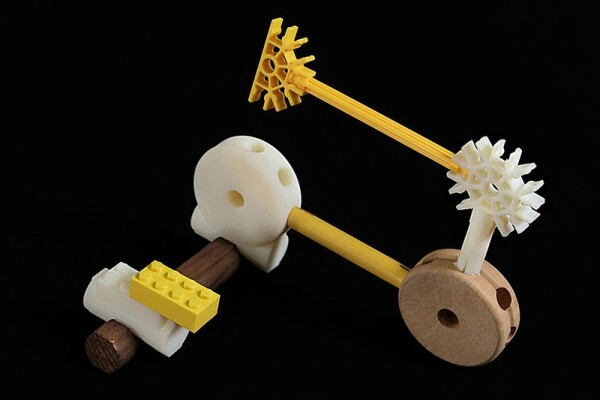 It’s time to throw the K’Nex in with the Tinker Toys because now you can 3-D print your way to connecting them all together. 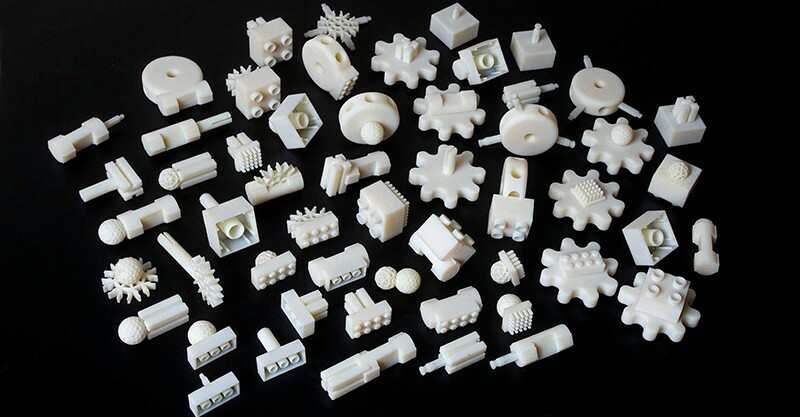 The Free Universal Construction Kit consists of almost 80 adapter blocks that lets 10 different construction sets be combined in beautiful harmony. Anything is possible: a Zoob Godzilla can climb up a tower of Bristle Blocks while LEGO police cars circle below, or a K’Nex suspension bridge can connect two Duplo villages. If kids weren’t creative before, the Free Universal Construction Kit will set imaginations free. Created by F.A.T. Lab and Sy-Lab, the Free Universal Construction Kit is, as the name would suggest, free. And while you need a 3-D printer to actually get adaptors, it’s not as tricky as you might imagine. A quick Google search will turn up plenty of 3-D printing services, or if you’re more of a technology devotee, the Makerbot is a relatively affordable 3-D printer you can buy to use at home. By creating adapters to make sets compatible, they’ve made a sort of “forward compatibility”. 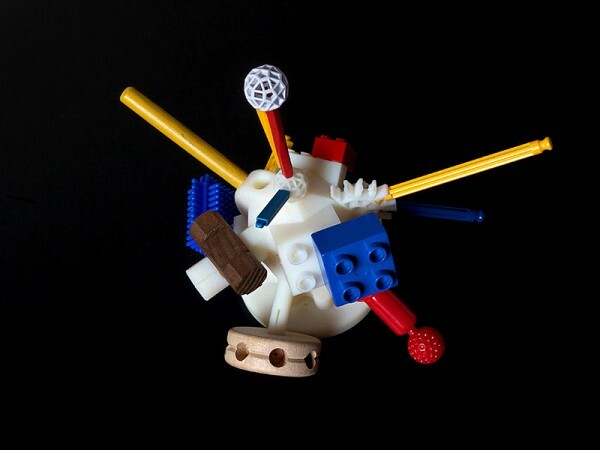 A Duplo set that may have been tossed aside as too babyish after a couple of years retains its use value for many more years because now it fits with the Legos of five-year-olds, and the Zometools of tweens. There are three different places to download the 3-D models, and they’ve got plenty of suggestions for how to get them printed, either by purchasing a printer yourself, or sending the files to 3-D printing services that ship internationally.